Minimum quantities of 500 apply. 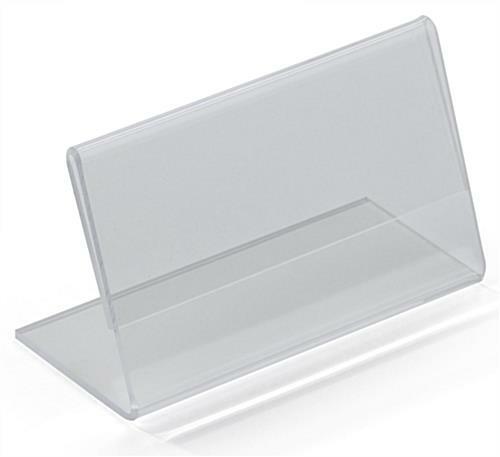 These acrylic business card frames are made for placing on countertops and have an angled design for better visibility. The fixtures showcase contact information in a landscape orientation and measure 3.5" x 2". The business card frames are made of clear plastic that gives them an affordable price. 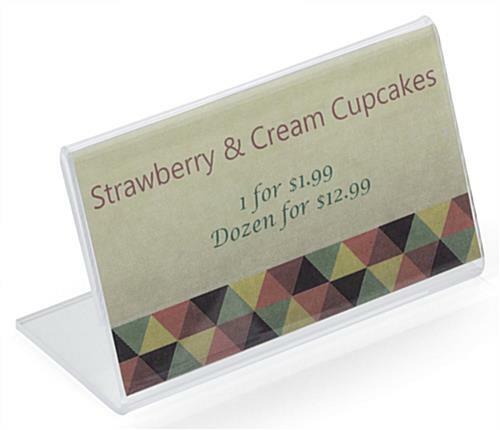 Replacing cards in the landscape displays is easy with their side-insert design. The clear countertop frames are made of 0.08" thick plastic, allowing them to last for years. The fixtures' solid construction makes them more durable than holders that are pieced together with glue or bonding agents. We are unable to accept orders for less than 25 units.